As all we know that, Chief minister of Tamil Nadu, leader to many Tamils and ‘Amma’ to millions, J Jayalalithaa died on 5 December, 2016 after undergoing treatment at Apollo Hospitals in Chennai for 75 days. She was 68. After that many speculations were went on her death. 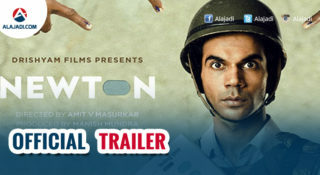 Finally reason came out now. On Monday, after a period of two months, the doctors of Apollo hospital who treated former Tamil Nadu Chief Minister J Jayalalithaa held a press conference in Chennai to dispel rumors surrounding her death. 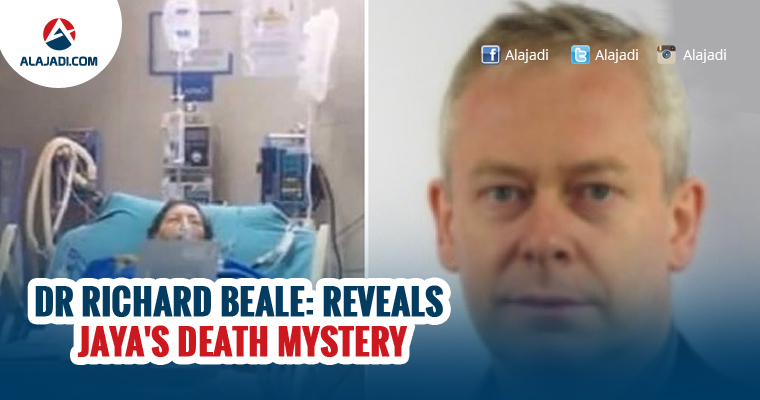 Dr Richard Beale, a London-based doctor who closely monitored Jayalalithaa’s case, also joined the press meet and assured that there was no conspiracy behind her death. 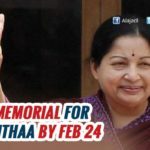 The doctors revealed that Jayalalithaa communicated in sign language and was responding and communicating for several days before she collapsed after a cardiac arrest. 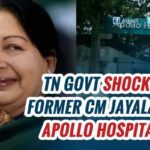 The press meet was not held by Apollo hospital but was facilitated by the Tamil Nadu government. Best treatment was given to Jayalalithaa, but her diabetes led to complications, Dr Richard Beale of UK, accompanied by other doctors, said while addressing a press conference in Chennai. Jayalalithaa had severe diabetes and had a an infection when she was admitted in the hospital. This later led to damage of organs and an eventual cardiac arrest. The doctors gave a brief timeline of her time in the hospital. When asked about her transference to London for better treatment, Dr Beale said, Issue of transferring a patient (Jayalalithaa) to London was discussed but in such cases risk factors always there. She herself didn’t wished to move out of country for treatment. Apollo Doctors informed treatment offered for Jayalalithaa costed anywhere around Rs 5.5 crore. The bill was handed over to the family of the Former CM. British Expert Dr.Richard Beale told Jayalalithaa was able to speak for many days till she suffered the cardiac arrest on December 4th, 2016. After the witnessed cardiac arrest, Doctors tried their best to revive the situation for 20 minutes. Infection in the blood led to organ failure and deteriorated her health. 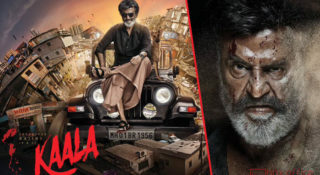 During Beale’s last conversation with Amma, They spoke about the kind of food she likes, what would she like to watch on television, about his children and rehabilitation process. 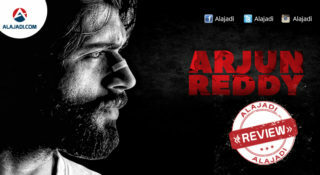 Reshoots for Former CM Jalalalithaa Biopic! 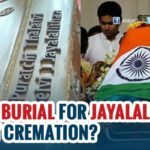 Why was Jayalalithaa buried, not cremated?